Why are weekend was quick and the weekdays so slow? Yes, this is the August edition of Glossybox. It has taken me a little longer to test all these products so I can give you guys a good review. Every month Glossybox sends me 5 beauty products including niche, high-end, and emerging brands. The products are housed in a beautifully packaged reusable box for $21/month. The packaging is always top-notch. The Box is usually pink with black accents. Inside is a folded card describing each product and offering tips, tricks or tidbits which are convenient and sometimes fascinating. You have the opportunity to review products and gain Glossydots, which will earn you one extra box (of your choice) per year. If you love luxury products and super cute packaging you can subscribe here for $21 USD/month. This month Glossybox switched it up a bit and sent a cute magazine style booklet containing information and tips on every product. Well Professionals- Oil Reflections Smoothing Oil in sample size 30mls. Full-size $20 USD for 1 oz. What it is: A light-weight hair oil containing macadamia seed oil, avocado oil, and vitamin E to add shine and tame hair. The directions say it can be used on damp or dry hair. Tip: Apply to damp hair for smoothing & protection. Apply to dry hair for extra shine. Review: You all probably know by now that I am not a fan of hair oils. My fine hair just can’t handle the weight. 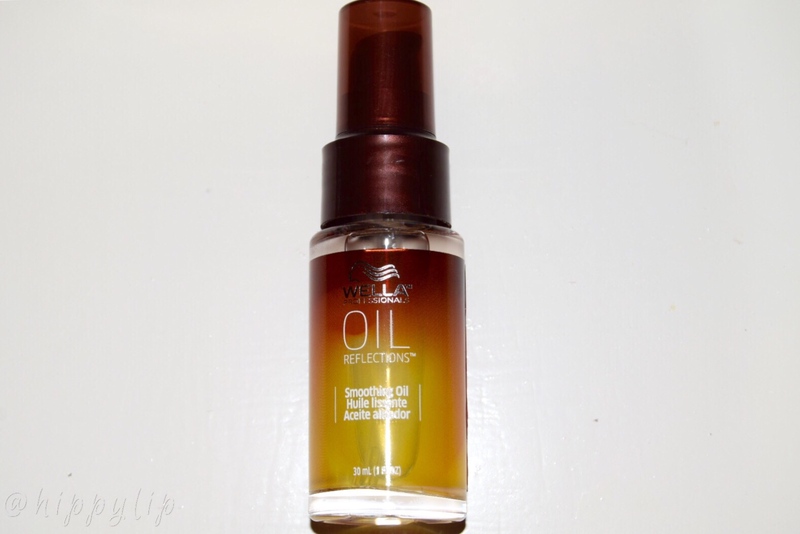 Since I love Wella products, I gave it a shot and I am so glad that I did. I used one pump and through wet hair and styled as usual. First off, it smells amazing and I would seriously use it just for that purpose. My colored hair looked healthy, shiny and no fly aways. I do have 2 complaints; alcohol as an ingredient may dry out your hair if used frequently and the price is too steep. $20 for 1 oz is a little crazy but considering a small amount does the job, it would last for a long time. I am going to STASH this for now but I probably won’t repurchase. De Bruyere- After Sun Lotion Monoi in full-size $12 USD. What it is: A sun rescue lotion containing Monoi (Tiare petals soaked in coconut oil) to calm , nourish, and protect the skin. 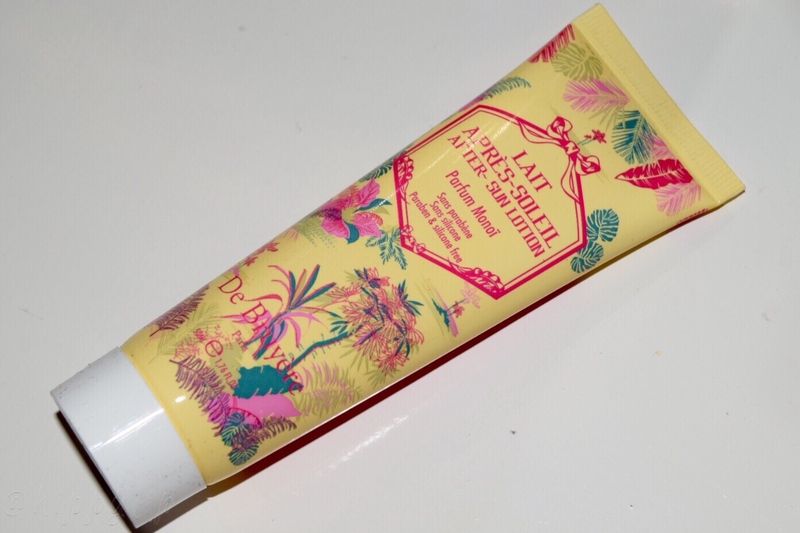 Review: I love the scent of this lotion. It’s coconut, of course, but with a slight floral scent. This is a very thin and milky consistency but don’t let that fool you, it packs a pretty good punch. Because it’s thin, it easily blends and absorbs. I actually used this right off the beach and was completely surprised at how calming, soft and moisturized my skin felt within minuted. I’m going to DASH for this, especially at this price point. 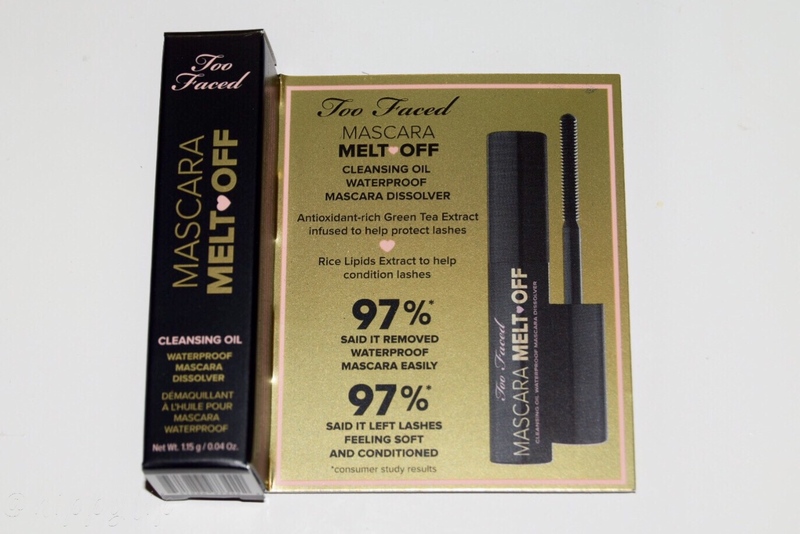 Too Faced- Mascara Melt Off Cleansing Oil Waterproof Mascara Dissolver in sample size. Full-size $17 USD. What it is: The name says it all. It’s mascara remover containing rice lipids and tea extract. 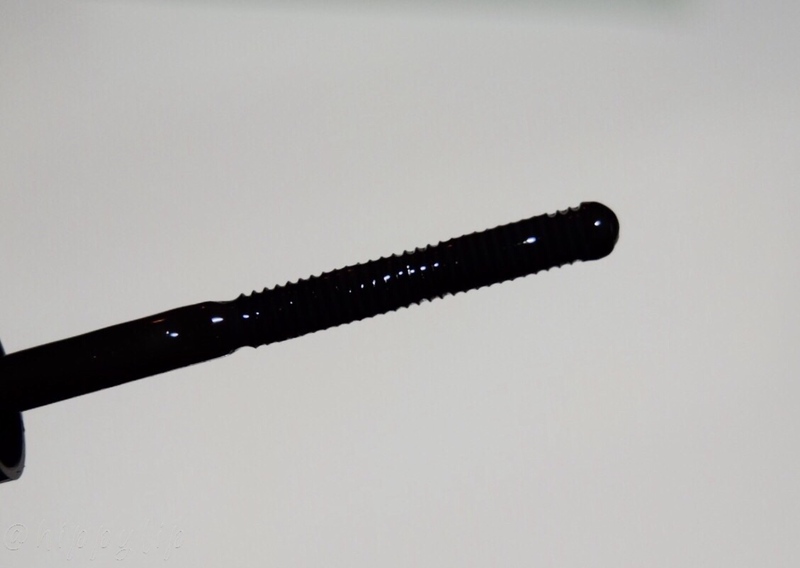 It looks like a mini mascara and you apply it with a wand and let it sit for at least 60 seconds and wipe away. Review: I was really skeptical about this because it’s just another step to my nightly routine. 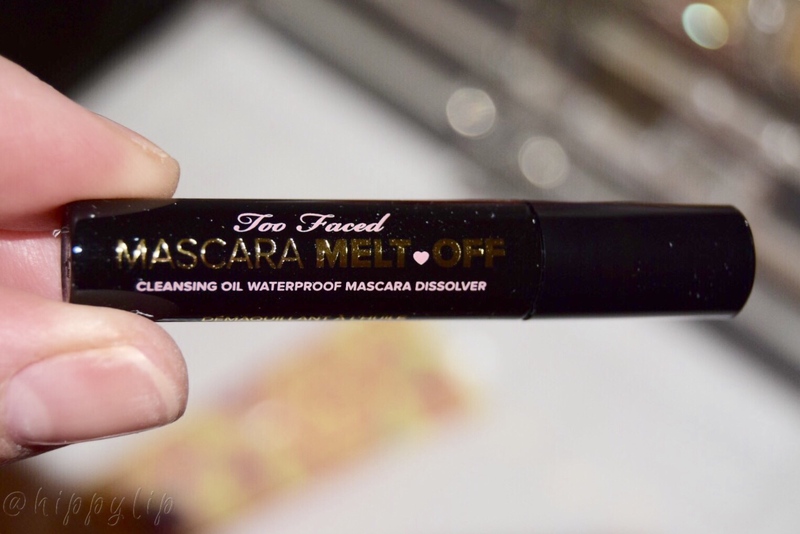 Now that I’ve been using it for a few weeks, I have come to the conclusion that it does save time if I’m wearing heavy mascara. It’s easy enough to apply from base to the tip of my lashes and I use a makeup wipe on the rest of my face while waiting the 60 seconds it takes to break down my mascara. It still takes some wiping but not nearly as much without it. My biggest reason for keeping it is less damage to my lashes. I tend to loose many when removing mascara so in the long run I think I would have fuller lashes. I’m going to DASH for this. 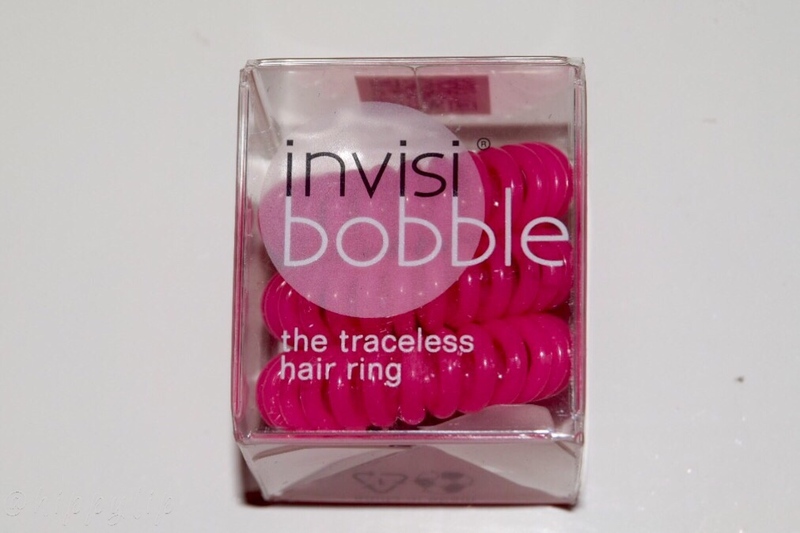 Invisibobble- Original: The Traceless Hair Ring in full size $8 USD. What it is: A plastic spiral hair band that allows the hair to be held tightly without pulling, kinking or causing headaches. 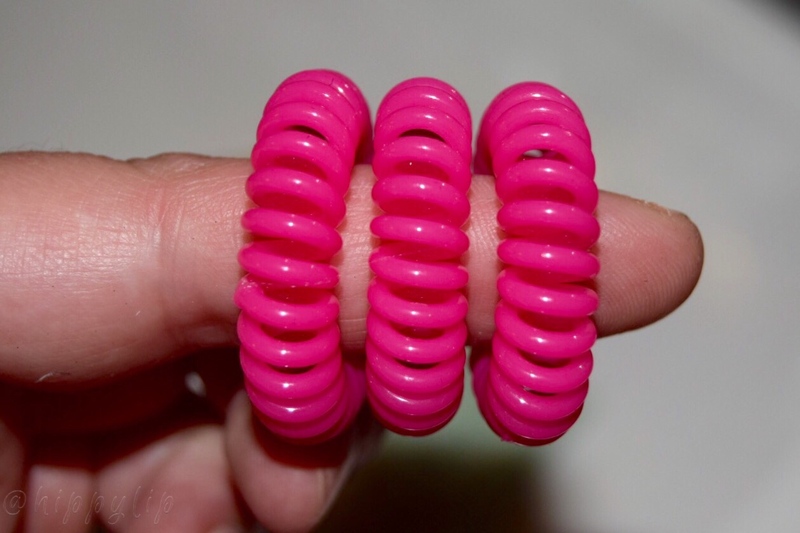 Tidbit: Rommy H. Revson patented scrunchies in 1986, originally named ager her toy poodle Scunci. The name evolved due to the scrunched material. Review: This just isn’t made for people with fine hair. It does pull and it doesn’t hold the my hair tight. It does stop the kinking effect made by the typical hair band. I also did not experience any headaches. I guess that’s 2 for 2. I’m going to TRASH these. 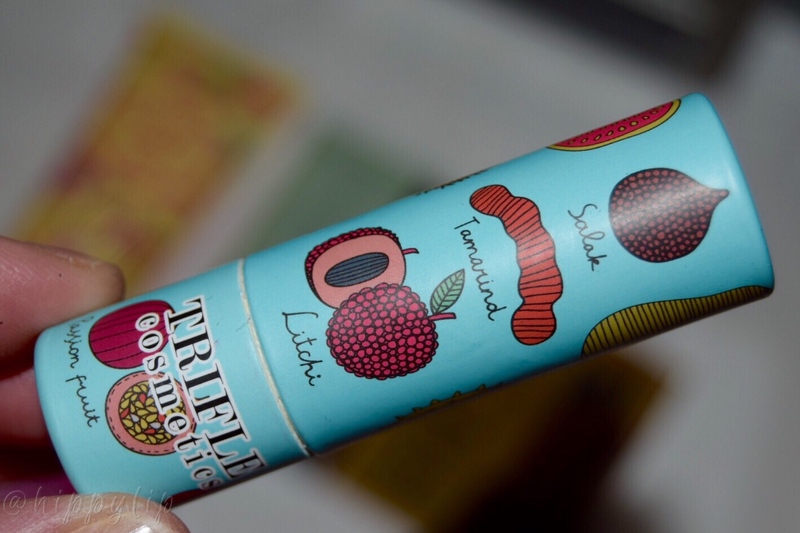 Trifle Cosmetics- Lip Parfait Buttery Lip Cream in full-size $19 USD. What it is: A very cute packaged lipstick made cruelty free with cocoa butter to keep lips plumped and glowing with intense pigment. Review: It is true, the packaging is just adorable but made of some sort of cardboard material. 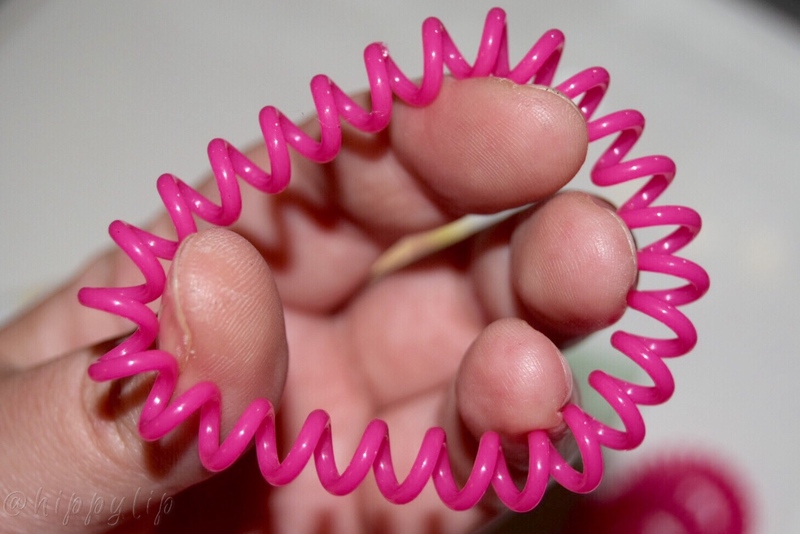 It was very hard to twist up and had a strange chemical smell. 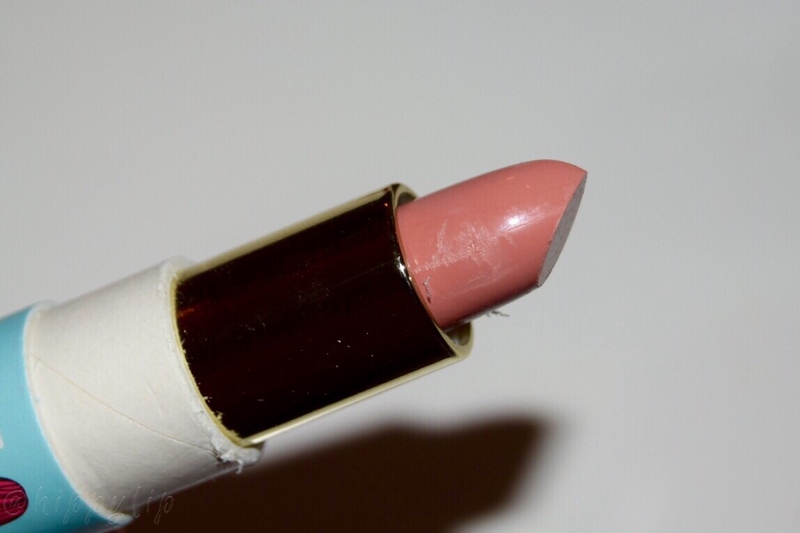 I love lipstick so I tried this several times and it’s such a light shade that it washes me out. The name is almost an awful joke. It is the driest lipstick I’ve ever worn, considering the name, this is super ironic. There is no consistency making it really streaky. I really can’t believe the price tag on this. It’s already in the TRASH. Borghese- Fango Delicato Active Mud For Delicate Dry Skin in sample size. Full-size $72.50 USD/17oz or $25 USD/7 oz. What it is: A facial mud mask for the most sensitive skin. Contains aloe vera, oat protein, and mango butter to calm/hydrate and olive fruit & chamomile to soothe/alleviates dryness. Tidbit: Dating back centuries, Princess Marcella Borghese created her own skincare products using natural ingredients found in the villa Borghese in Rome. 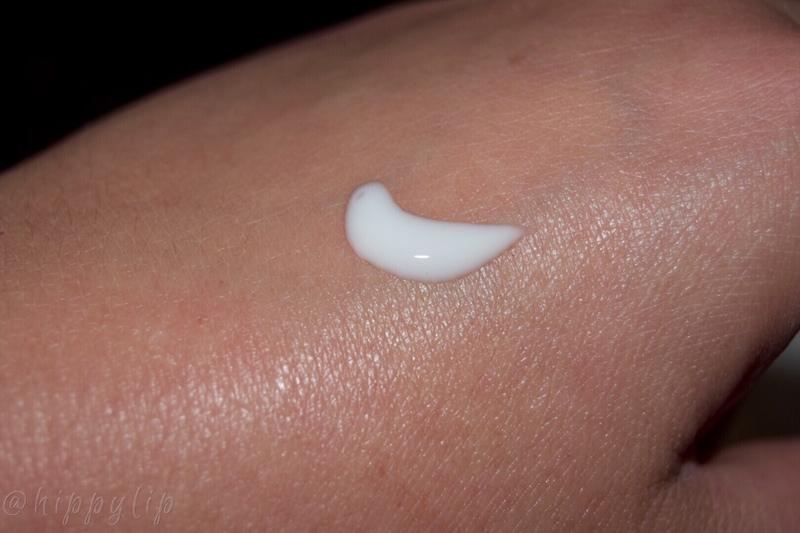 Review: This is really good for sensitive skin, there was no tingling, discomfort or redness during or after use. I’ve only used it twice so far and it seems to add moisture and lock it in for a few days. 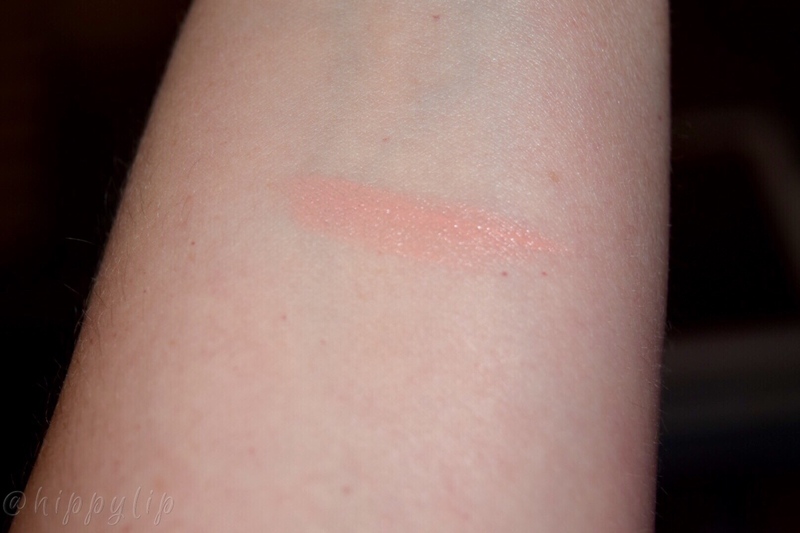 I have an extra oily t-zone so I skip those areas during application. I am going to STASH this for now. I’m waiting to see how this holds up on some extra dry skin from the coming winter months. Glossybox has never let me down yet and they always introduce me to new brands or products I wouldn’t typically buy. The full-size lipstick and Invisibobble were huge disappointments, but I also found 3 great products that I will continue to use and 2 products I would definitely re-purchase. I call that a win. 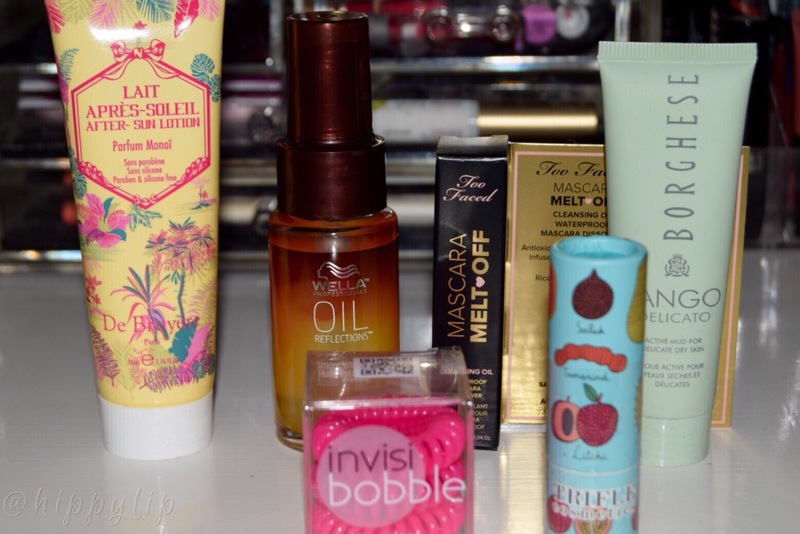 What did you think of this Glossybox? Give Me Some Lip!